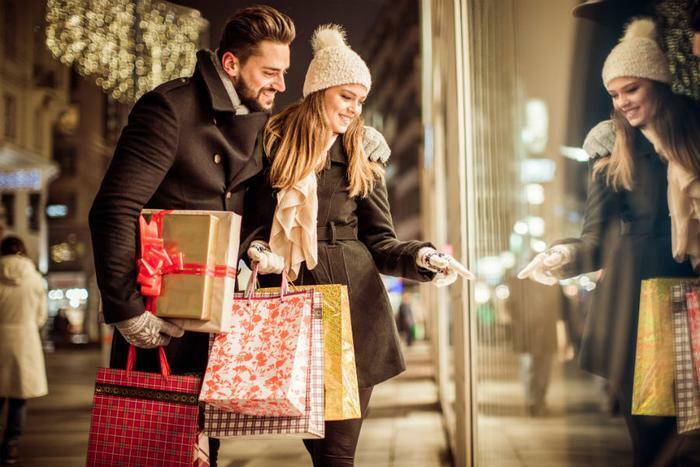 With the stock market at record highs and the economy posting stronger gains, it's likely consumers will be spending a lot more money this holiday season compared to last year. The National Retail Federation (NRF) predicts retail sales for November and December -- not counting automobiles, gasoline, and restaurant meals -- will increase by as much as four percent over 2016, to $682 billion. The "longer shopping season" that Shay refers to is the result of Christmas falling on a Monday this year, 32 days after Thanksgiving. That gives consumers an extra weekend day for last minute shopping. Black Friday is the official kickoff to the holiday shopping season, but more consumers are beginning their shopping earlier each year. A survey by RetailMeNot.com suggests this year will be no different. Over half of respondents say they plan to begin shopping before Black Friday or Cyber Monday. Nearly as many -- 45 percent -- said they would start making purchases before the start of November. To get good buys and stretch your holiday budget, timing is critical. RetailMeNot says you should be shopping for toys, home decor, and apparel right now. These items tend to have the best deals early in the season. If computers and electronics are on your list, Thanksgiving through Cyber Monday will be the prime time for deals. Savvy shoppers should be able to find discounts as high as 40 percent during that time. Knowing the best time to spend will help you get the best value for your money and avoid temptation when you suddenly spot better deals after you've exhausted your budget. It's always a good idea to set a budget for holiday spending. If you can stick to it, your spending limits will prevent you from suffering a huge credit card hangover in January. Phil Dengler, principal of the shopping site BestBlackFriday.com, says consumers should target 75% of their budget for Thanksgiving, Black Friday, and Cyber Monday, but allot the remaining 25% for other times. "There are a few pre-Black Friday sales that are worth targeting," Dengler told ConsumerAffairs. "Sam's Club will be holding its annual one-day 'Lowest Prices of the Season' sale on November 11 this year. This sale always offers real Black Friday prices on iPhones, video game bundles, televisions, and other popular electronics." However, consumers should save a little cash for after the Black Friday weekend. Dengler says December 10 through 17 will be the sweet spot for toy purchases, while December 8 through 25 could be the best time to buy jewelry. Not everyone will spend their entire budget on products, however. The RetailMeNot survey finds 15 percent of consumers plan to increase spending on restaurants and entertainment. Another 15 percent have allotted some holiday money for travel.